Academic writing has its guidelines, which must be flowed to the letter. It is most experienced in higher learning institutions where students have to write a different text based on diverse topics, some of which require extensive research, anything used in the text that does not come from the writer ought to be cited and acknowledge accordingly. The student has over time managed to master these styles of making citations. Even though some of them are yet to do it. Citations are mostly associated with research papers, dissertations, theses, academic essays and so on. They are a way to avoid plagiarism, which is very much frowned upon in the world of academia. 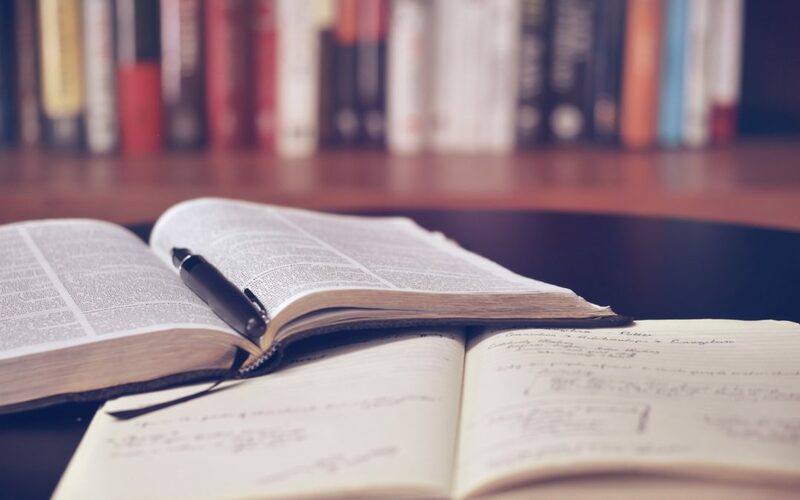 With citations in research papers, the paper looks credible and original besides making the writer demonstrate his ability to use the existing knowledge to discuss a given topic. The basic information that is presented in all citation is the same, although the format varies a lot. The way you make citations in research papers using the APA or the MLA styles is different. Other formats of citations for research papersinclude Harvard, Chicago Manual Style, and AMA and so on. The citations for research papers done in PA style, you invert the name of the author, meaning that the last name comes first and then initials of the first name. The last name is trailed by a comma then the first initial. If you have names of multiple authors, separate them with commas and use an ampersand (&) before the last name. If the paper was published in an academic journal, your APA citations in a research paper would include the year in parentheses after the name of the author. If the paper as not published, the year when the paper was written comes in handy. The citations for research papers can take many forms, but when it comes to, you can use capitalization to write the full research name. Capitalize the first word and any other proper name. Should there be a subtitle, use a colon and capitalize the first word of the subtitle. If you found the paper from a university-maintained database, corporation, or the organization, you can use the index number assigned to the paper in parentheses after the title. When making citations in research papers using the APA format, if the paper that you get was published in an academic journal or magazine, you could usethe same format that you use for any other article. If the article is unpublished, give as much information as you can to direct the audience to the research paper. Making citations for research papers in MLA, you enclose the title and subtitle in quotation marks. You then capitalize most words, but not for short articles or conjunctions, not unless they are the first words of the title or the subtitle. Any research paper published in an academic journal ought to be treated like any other journal article. As such, when making citations in research papers using this format include the abbreviated title of the journal in italics, followed by the publication year, issue number, and the pages where the journal appears. In-text citations in AMA include the super script number after the details for which you need a citation. It helps in building up your bibliography when writing your paper. The citations are listed in the order in which they appear in your text. For instance: According to Kringle and Frost, the red nose shows a subspecies of reindeer that is native to Alaska and Canada having migrated to the North Pole and interacted with the North Pole reindeer. It takes the inverted format of writing the authors name where his last names appear first. The names of other authors are supposed to appear in regular order. When writing citations in research papers, the first names ought to be spelled out. If there is middle initial provided, use it on the research paper. When making citations for research papersusing the Chicago Manual Style and the paper you are using is unpublished, the date used will be the year of publication. If the paper were published, you would stick to the guidelines for making article citations in a research paper in Chicago style. If you got the paper from the internet, add a direct URL to help the audience go directly where you found the paper. If the paper has a database number, it can also be useful in locating it easily. When writing research papers, some people may wonder why citations are important. For starters, citations in research papers enhance the credibility of the writer and the work he is doing. It bypasses the risk of plagiarism, which in the academic world is a serious crime. More so, citations for research papers inculcate originality in the work that is being done. The writer demonstrates that he is authentic with his ideas and pays attention to whatever the other writers share about the topic. The idea is to responsibly include the existing knowledge to show how his paper or the discussion of the topic fits in the larger picture of the scholarly knowledge. It shows the audience that you have done adequate research by listing all the sources you have used in your paper. The audience can track down all the sources you have used in your citations for research papers. When writing your research paper, you can use any of the above formats of making citations. However, that is subject to your instructor’s preference. Sometimes it also the preference of the institution of higher learning in which you enrolled. Either way, it is crucial to ensure you have made the correct citations in research papers to avoid your paper getting rejected. We will assist you in writing quality research papers!